Sympathy or antipathy is decided within milliseconds of an encounter and these decisions have a lot of influence on one’s private and professional life. Psychologists know that most of the information upon which this decision is based is drawn from the face. That’s why immaculate and relaxed facial skin is essential for creating a positive aura. What’s decisive, however, is not the aesthetic effect alone. A positive aura arises from a harmonious balance between the inside and the outside. This is what gives a beautiful appearance its duration and structure – without it the beauty would only be fleeting. Holistic treatment concepts are based on care cosmetics and decorative cosmetics in equal measure, and this applies particularly to the facial treatment offered by Venus & Apoll in Berlin Kreuzberg. For facial treatments aimed at anti-aging this then also gives rise to a broadened perspective: Anti-aging in fact is not so much about stopping the march of time. Instead, it embodies the quest to reconcile and harmonize the demands of the environment with our own personal assets – or genetic make-up. The objective is to prevent these physical assets from prematurely succumbing to wear and tear. This is the ultimate purpose of anti-aging therapies. 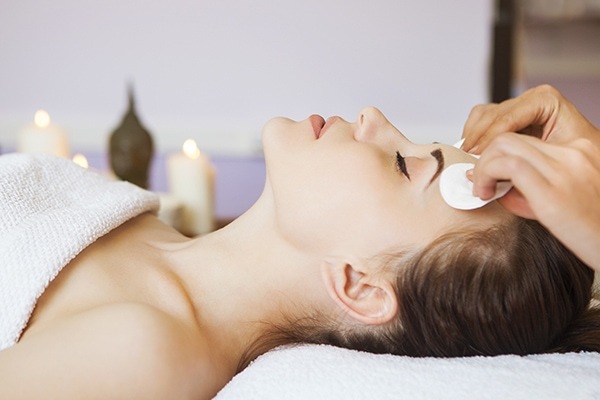 When it comes to facial treatments at Venus & Apoll, we guide our customers very carefully in selecting the most appropriate treatments and products for their needs. And for us, a relaxed and aesthetically invigorating atmosphere is an essential part of a long-lasting and effective facial treatment. Above all, we only use products and technologies that we have ourselves determined to be superior compared to alternative products. Not least because we also use these products. For our Classic Line of facial treatments, we put our trust in the products of Dr. Schrammek, a renowned specialist for natural and organic cosmetics. BioKosmetik. Products by Dr. Schrammek offer extraordinary agreeability of use and excellent skin care results using natural basic ingredients. Moreover, this manufacturer has extensive experience – spanning several decades – with the active ingredients in bio-cosmetics. !QMS Medicosmetics developed as a result of clinical research on the role that collagen plays in the wound healing process. The company founder, a cosmetic surgeon, developed this product line based on natural collagen. It is currently one of the most effective, top-quality cosmetic lines available. These skin care lines, which were developed by us over the decades and address customers with acne or very sensitive or stressed skin, feature products by Dr. Schrammek products as well as with the active ingredients by !QMS. We devise customized facial treatments for your needs. The V & A Classic treatments are carried out using Dr. Schrammek BioKosmetik. Products by Dr. Schrammek offer extraordinary agreeability of use and excellent skin care results using natural basic ingredients. Moreover, this manufacturer has extensive experience – spanning several decades – with the active ingredients in bio-cosmetics. These skin care lines, which were developed by us over the decades and address customers with acne or very sensitive or stressed skin, feature products by Dr. Eckstein products as well as with the active ingredients by !QMS. We devise customized facial treatments for your needs. • Day care based on skin-type. It is especially effective in remedying signs of premature aging and other skin defects. Naturally, it is especially well-suited for mature skin. The vital component of the Quick Magic Skin Formula (or QMS) used at Venus & Apoll is a synergetic compound made of fruit acids and collagen. It was developed by Dr. Schulte and is highly effective and one-of-a-kind in this form. The treatments that build upon it begin with a fruit acid peeling to exfoliate the skin as this allows better absorption of the active ingredients. Subsequently the collagens – with a purity level of 70% – are applied. These ensure that skin impurities are carried away and the active ingredients can infiltrate the skin. The results become visible immediately. Wrinkles are plumped out, tears in the tissue are “caulked” and cell renewal is stimulated through the formation of the body’s own collagen. !QMS Anti-Aging treatment is fundamentally a grooming and nourishing treatment that helps skin with impaired functionality to be revived. Time and again, persuasive results and the reactions of our customers reinforce us in our belief that this treatment is one of the most effective facial treatments you can get. Especially well-suited for mature or damaged skin on women and men alike. The central importance of stem cells in the skin renewal process has been well-known for many years. Recent research efforts have succeeded in bringing to light the complex interplay of the processes involved in this. These insights have led to a completely new generation of active ingredients. Innovative facial treatments stimulate cell renewal at a deeper level than was previously possible. The introduction of Cellular Marine to the market constitutes the first time that a cosmetic product based on these action mechanisms has become available. Our facial treatment with Cellular Marine effectively reduces the appearance of lines and wrinkles and also prevents their reformation. In enhances the skin’s regeneration process and stimulates the development of new skin cells while also improving the skin’s metabolism. It is highly moisturizing, boosts elastine production and tightens the facial skin while reducing pigmented spots. Your skin’s youthful radiance is prolonged. This treatment will definitely win you over! This new exclusive treatment by Venus & Apoll promotes the formation of tissue in mature skin by vigorously stimulating the growth of collagen type-3 fibers. A targeted strengthening and regeneration of the skin is achieved especially in areas where the skin loses its elasticity due to aging processes. 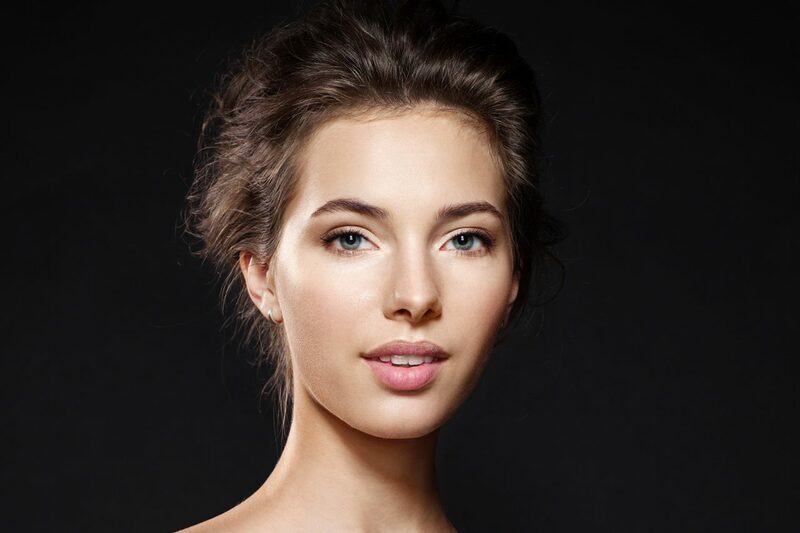 A subcutaneous tightening of the skin tissue creates a more firm, ‘saturated’ skin structure while simultaneously protecting the skin from harmful environmental influences. Particularly well-suited for tired, saggy and mature skin. This refreshing moisturizing treatment energizes the skin while supplying it with active ingredients and nutrients. Your skin it literally revived. Optimal smoothing and tautening of the tissue is achieved. Your face will radiate with youthful freshness. A perfect alternative for indulging your skin. This treatment is particularly well-suited for dehydrated and stressed skin. For women and men of all ages. Treat yourself to a special neck and décolleté skincare and skin- strengthening treatment for a long-lasting tightening of these exposed areas. An addition to an algae mask and collagen, we use !QMS Fluid-Neck complex serum as part of this treatment. The algae mask for your neck and décolletage will additionally wash out toxins and purify the skin. 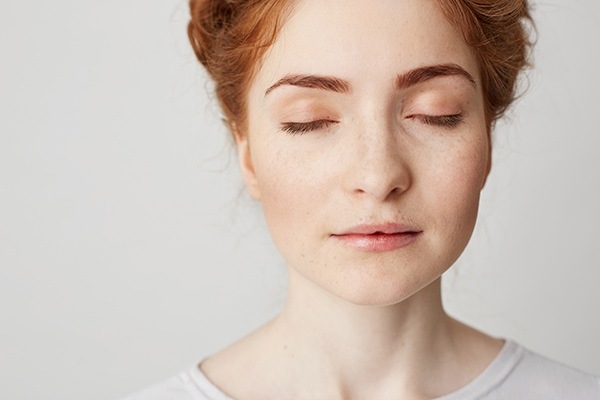 Treat yourself to a !QMS eyelift if you want a radiant look in a short amount of time because the area around your eyes has become dull and tired looking from stress or a lack of sleep. By means of highly concentrated active agents with skin smoothing and moisturizing properties, the eye area is revitalized. At the same time, the skin is protected and its sensitivity is reduced. The result is an immediate tautening effect that lets eyes sparkle again. A quick and effective treatment method for immediate results. For these special treatments, which are intended for especially stressed skin, you can choose between the skincare line by Dr. Schrammek and !QMS products. Both series have won countless awards for quality and effectiveness and are among the leading cosmetic product lines available worldwide. Differing philosophies are behind each particular approach and this enables us to offer you the two best possible treatment alternatives. Our acne treatment involves several perfectly dovetailed steps for best results. Easily inflamed, acne-prone skin is treated with compounds that rid the skin of impurities, reduce inflammation and restore its basic functions. Time and again over the course of our long years of experience, customers have told us that cosmetic acne treatment is often more effective and gentler than treatments based purely on drugs. Moreover, the used cosmetic remedies preserve the structure of the skin thus enabling it to regenerate more quickly. 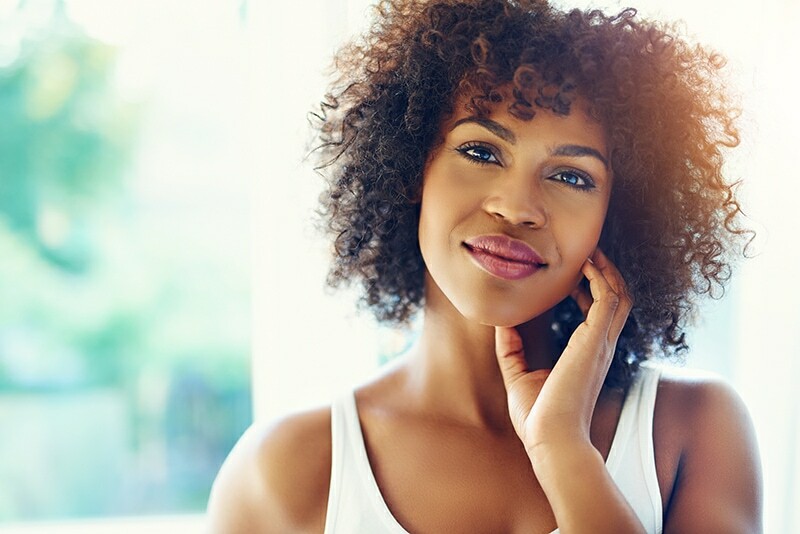 Even severe acne responds effectively to cosmetic treatment – and this holds true even for areas that don’t respond properly to standard acne medications. We will gladly consult with you regarding the treatment method that best suits your particular skin type. Certain skin types react more sensitively to the various environmental influences. Dry indoor air from radiators, pollution and stress are some of the factors that cause skin reactions. Our goal is to increase the skin’s ability to weather these daily onslaughts by reducing its sensitivity. At the same time, we only use products that don’t provoke the skin in any way. You have the choice between two extraordinarily high-grade treatment lines.